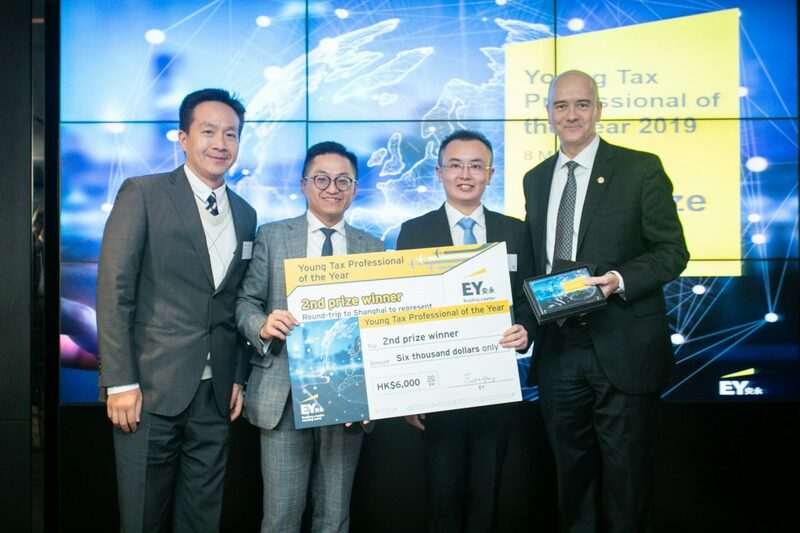 On 8 March 2019, two students from the Professional Accountancy (PACC) programme of The Chinese University of Hong Kong (CUHK) Business School won the second and third prizes at the EY Young Tax Professional of the Year competition. 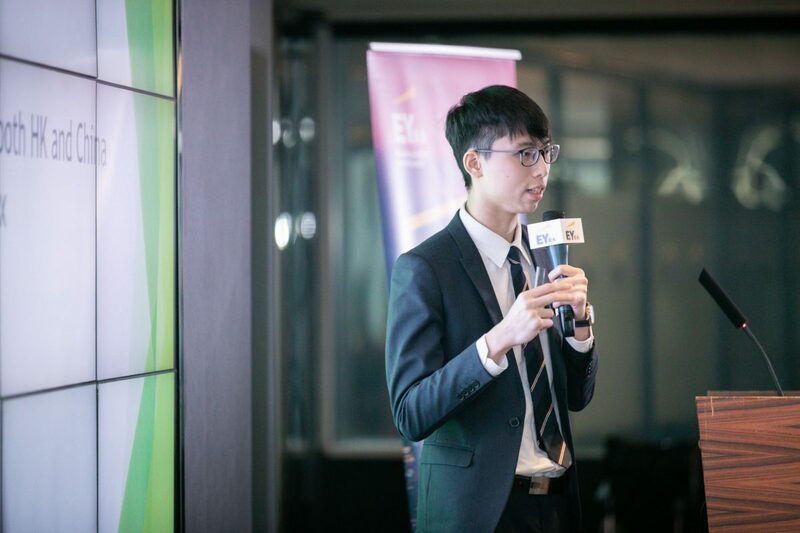 In the two-round Final Competition, 32 top performers selected from the semi-final competition competed for the title of Young Tax Professional of the Year 2019 (Hong Kong). They formed four teams for group presentation, and the best 8 students proceeded to the final round for an individual presentation. During the competition, they had to demonstrate to professional judges their technical and communication skills, as well as overall professional ability. 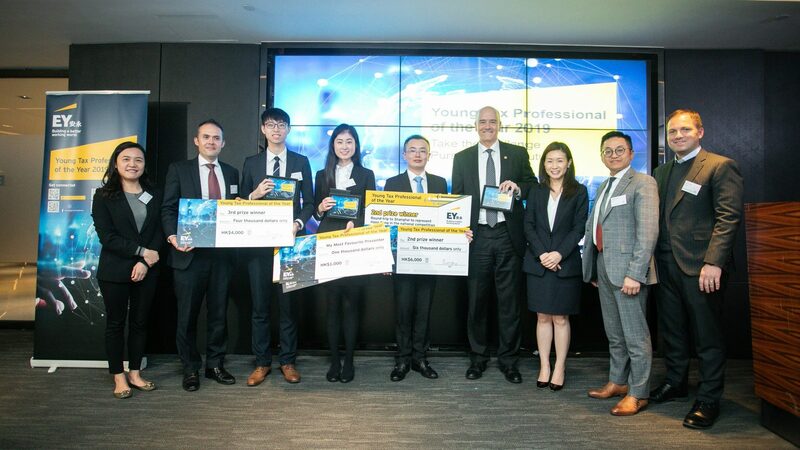 Three Professional Accountancy (PACC) students, namely Song Jialin Garin (Year 3), Lam Chi-mong Augustine (Year 3) and Lo Tsz-yan Yanis (Year 4) were among the best 8 finalists. In the end, Garin and Augustine won the second and third prize respectively. They received not only cash awards but also 6-week paid internship or conditional offer of employment with EY Tax Department in Hong Kong. Garin will also represent Hong Kong at the national competition in Shanghai on 31 March. 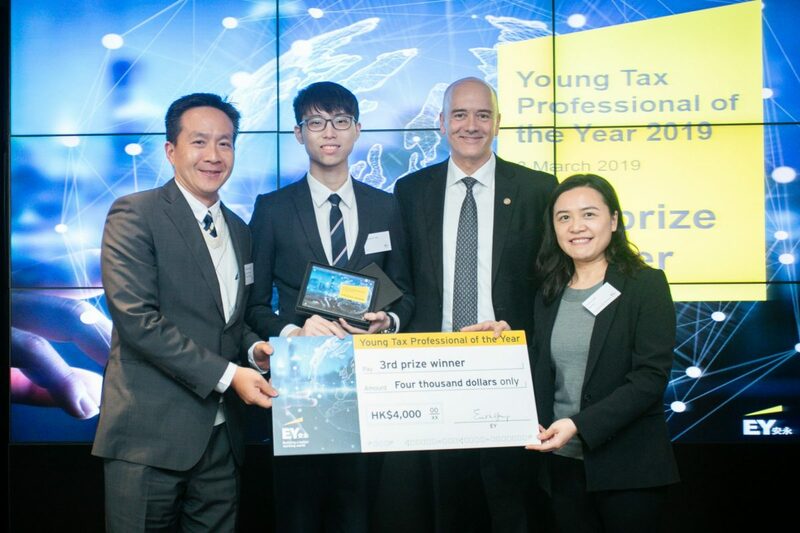 EY Young Tax Professional of the Year is an international competition designed to identify young talent with an interest in tax, help them enhance their professional skills and develop their careers. It gives participants the opportunity to share experiences with people from a range of backgrounds and cultures. 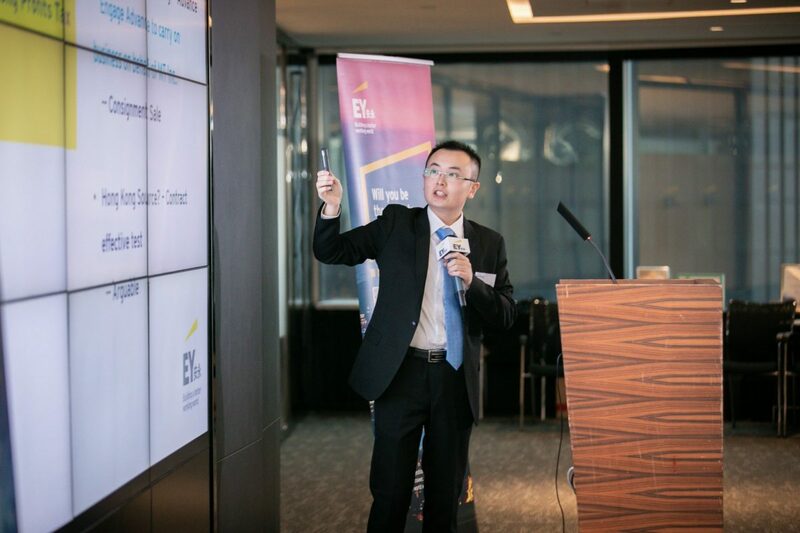 By bringing together students from all over the world, the competition aims to demonstrate how much the tax profession has changed today and how business is managed in different cultures.